The CWGC has erected headstones to mark the graves of five newly identified Australian soldiers of World War I. Private William Barber, Private Thomas William Francis, Private William O’Donnell, Private Thomas Henry Bills and Private John Gordon McKenzie, were among 250 Australian and British World War I soldiers who were recovered from a mass burial at Pheasant Wood in France in 2009. The CWGC erected new headstones with the identified soldiers’ details ahead of annual commemorations to mark the Battle of Fromelles on 19 July. The identification of the five soldiers was confirmed by the joint Australian Army and UK Ministry of Defence project team. 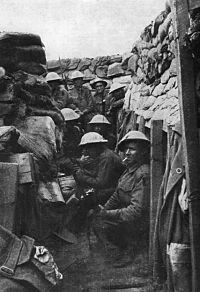 The Battle of Fromelles was the first major engagement fought by the Australian Imperial Force in France. The 5th Australian Division suffered more than 5,500 casualties (killed and wounded) in 24 hours. The British 61st (South Midland) Division reported over 1,500 killed, wounded and missing. Private Barber’s relative David Barber travelled from South Australia to the new Fromelles military cemetery. Private Barber, from Goolwa, South Australia, was 47 years old when he was killed. This entry was posted in Events, News, Soldiers of the Great War and tagged 1916, AIF, Australian, Fromelles, Goolwa, missing, Pheasant Wood, Private William Barber, Soldiers of the Great War. Bookmark the permalink.